That was the impression that I got from it after I was done. 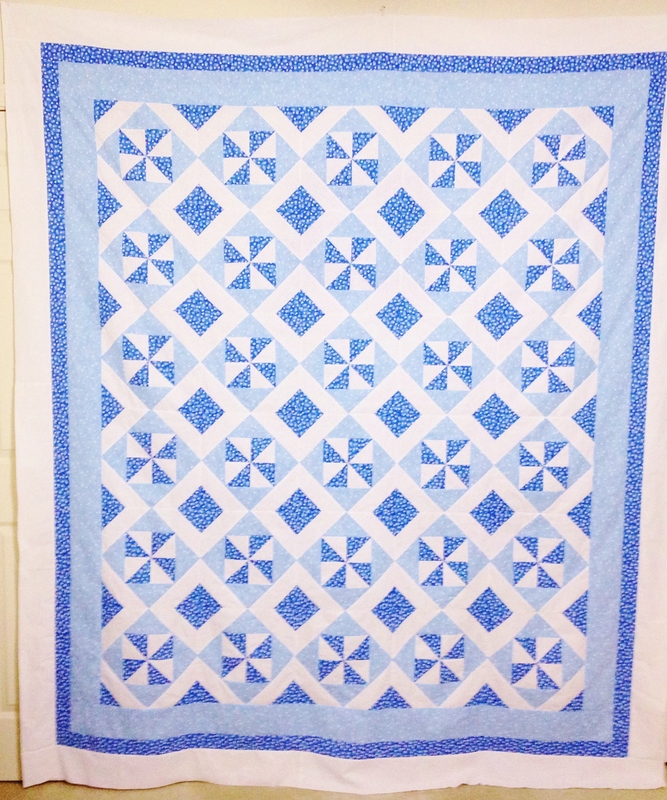 I originally thought that it was going to make a great Spring quilt! Beautiful! It reminds me of one of my Grandmother’s quilts. And only working with 3 fabrics is brilliant 🙂 I have a similar quilt that is still in the planning stages and I have been struggling with my fabric choices and having it look WAY too busy. I will try taking it down to just a few colors and see if I like it better 🙂 Thanks for the inspiration! Thank you. 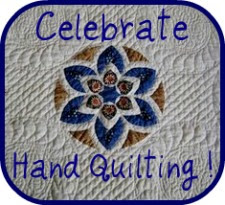 I do think that sometimes I use too many fabrics in a quilt and it ends up just looking busy. It was nice to have the focus on just the three fabrics, but I’m still debating on which fabric to use for the backing… any suggestions? I’m partial to dark backings, just because I do large dog rescue and I tend to be klutzy and it hides stains better if I make a permanent boo-boo. If it is going to get a lot of use I would go with a darker backing, if it is going to hang over the end of the bed or on a quilt rack I would go with basic white…it’s cheaper and easier to find 🙂 Good Luck, I look forward to seeing the finished quilt! It’s just beautiful and I certainly think all your hard work was worth it! Blue is my favorite color, so I really like the color choice…and I also think it’s great for a winter/Christmas theme. 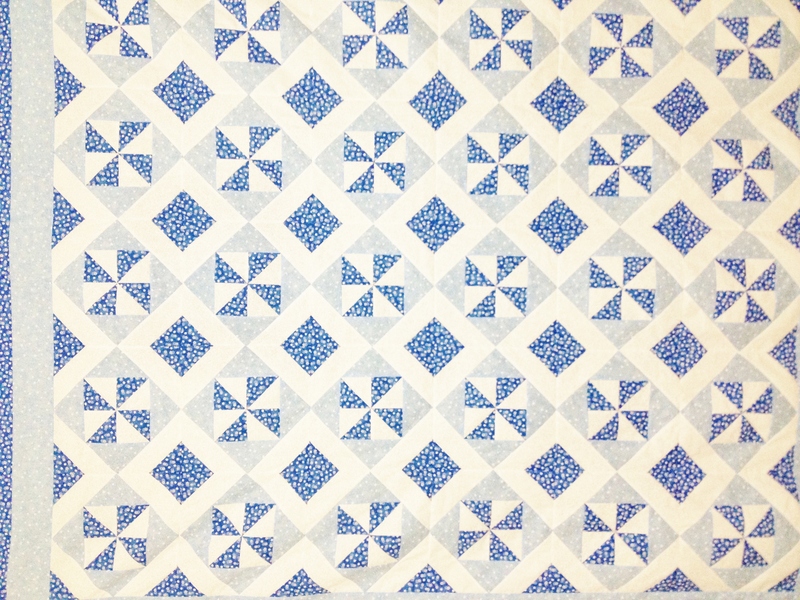 I found a book in the library about two-color quilts and it was very beautiful…your quilt would fit right in! Thanks for sharing. I love your new quilt–very peaceful!